The enormous Tian Tan Buddha at Po Lin Monastery in Hong Kong. This June, I boarded the first direct flight from Dublin to Hong Kong. I was overcome with emotion – my Dad lives in the city, and this new 11-and-a-half hour Cathay Pacific flight means that from now on, beloved Hong Kong is just half a day’s journey away. Hong Kong is the perfect place to embark on a culinary adventure. From succulent roast duck and crispy pork to steamed black-bean fish or sweet egg-custard tarts, whether you opt for inexpensive street-food stalls or Michelin Star restaurants, you won’t be disappointed. Not to be missed is traditional Chinese brunch, ‘dim sum’, which literally means ‘little pieces of heart’. Think juicy prawn dumplings, fluffy white barbecue-pork buns, or (for the more adventurous) spicy chicken feet. The dishes are served in wicker steamer baskets or on small plates, and usually washed down with copious amounts of Chinese tea. I’d recommend the Tim Ho Wan eateries. 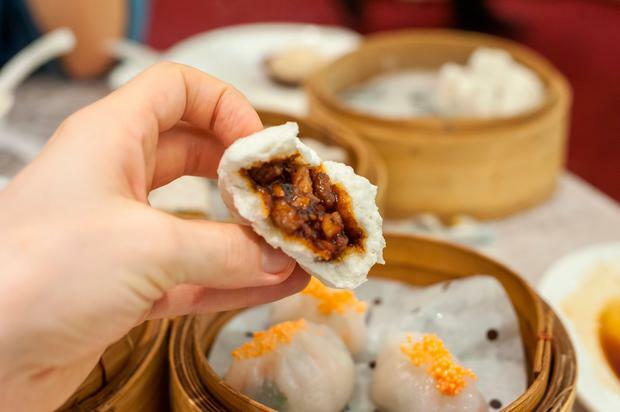 Dubbed “the cheapest Michelin-star food in the world”, the restaurant chain won the prestigious award for its top-quality dim sum. I visited the original branch, now located in Olympian City, where a delicious, hearty meal for two costs around €15. Unbelievable value! ‘Hong Kong’ literally means ‘fragrant harbour’ – a name said to be owed to the aromatic agarwood that was historically traded from Victoria Harbour – and the charming Star Ferry has been sailing across the port since 1880. 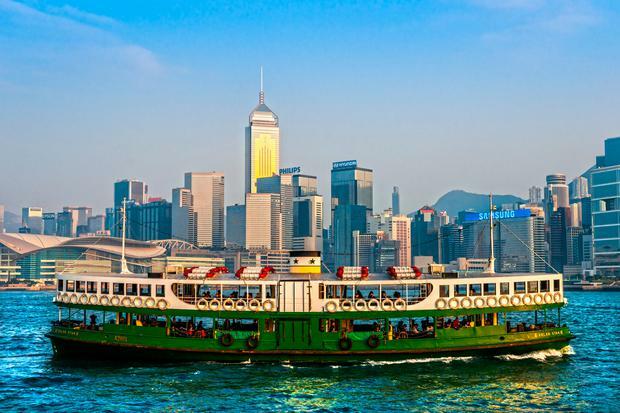 Despite being connected by a state-of-the-art railway and road system, tens of millions of people still climb aboard the humble ferries to travel between Kowloon and Hong Kong Island each year. Hop on board for a majestic trip across the water while enjoying beautiful views of the city’s sweeping skyline. A hot spot for culture vultures, the promenade takes in the Hong Kong Cultural Centre, the Hong Kong Space Museum and the old colonial Clock Tower. Hong Kong has a rich legacy of film and a stroll along the promenade will bring you to the Avenue of the Stars, the city’s version of the Hollywood Walk of Fame, complete with bronze statue of legendary Hong Konger Bruce Lee in all his martial arts glory. Every night at 8pm, punters make their way to the promenade for the impressive Symphony of Lights show. For 14 minutes, the city skyline is set ablaze by multi-coloured laser lights and pyrotechnic fireworks to a special soundtrack from the Hong Kong Symphony Orchestra. Spectacular! At an elevation of 552 metres, Victoria Peak is the highest point on Hong Kong Island. Its highly Instagrammable view is one of the city’s most popular tourist attractions. 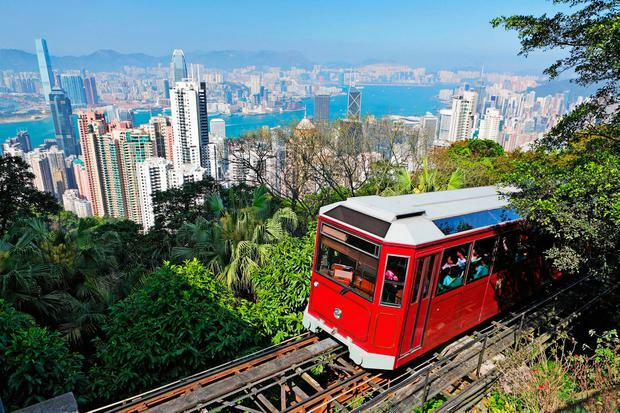 Take the venerable Peak Tram (HK$99/€11 return), which dates back to 1888, to the summit – it climbs the mountain steadily, allowing you to take in the surroundings at a leisurely pace. Once there, you can browse the shopping malls, enjoy a meal in one of the various restaurants, or take a ramble around the Chinese-style Victoria Peak Garden. 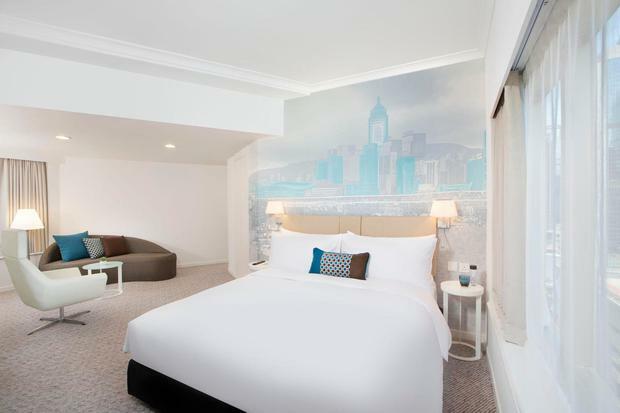 Centrally situated in the heart of Hong Kong Island, the sleek OZO Wesley hotel is an ideal base from which to discover the city. Its modern rooms are quiet and comfortable, furnished in fresh white and teal hues. The hotel boasts a well-equipped gym, with a good selection of free weights and cardio/resistance machines, so you can get a good workout in during your stay. The hotel is surrounded by a host of restaurants serving cuisine from around the world. Wan Chai train station is a 10-minute walk away, as are the colourful Wan Chai markets. Details: ozohotels.com/wesley-hongkong; rooms from €131. 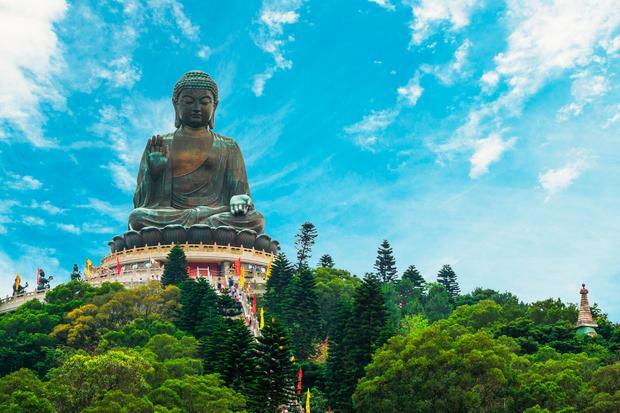 The majestic Tian Tan Buddha (aka the Big Buddha) sits 34 metres high on Lantau Island, its right hand raised to deliver a blessing to all. Work up an appetite climbing the 268 steps leading up to the bronze statue, then enjoy a vegetarian meal at the popular restaurant by its feet… or perhaps a blended mocha frappucino from the adjacent Starbucks? You can get to the island in spectacular fashion in a glass-bottom cable car. The Ngong Ping 360 cable cars depart from Tung Chung and soar over sea and mountains, offering panoramic views that even take in Hong Kong Airport; watch the planes take off from the runway on a thrill ride that’s not for the faint-hearted. Hong Kong is home to some of the largest malls in the world. From high-end designer shops to quirky boutiques, the city is a paradise for big spenders and bargain hunters alike. 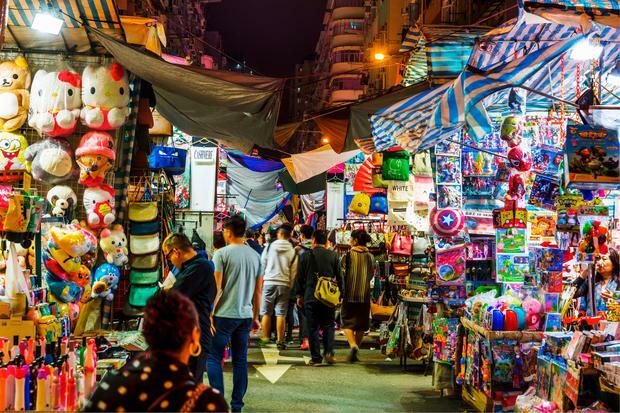 The city has various bazaars to enjoy: Ladies’ Market on Tung Choi Street is a haggler’s heaven, with a kilometre of bargain clothes, jewellery, handbags, electronics and souvenirs. By sundown, traders at Temple Street Night Market have laid out their goods and the fortune tellers begin to emerge. Head down the main drag of the bazaar or take a seat al fresco at one of the renowned seafood restaurants to gobble down spicy crab while soaking up the atmosphere. Despite its cosmopolitan image, Hong Kong is actually 70pc green, with a host of trails for nature lovers to enjoy. The most popular is the four-hour Dragon’s Back trail on Hong Kong Island. The scenic 8.5km hike will take you through tree tunnels and bamboo groves and treats you to beautiful coastal views from on high of Shek O Beach and the South China Sea. A visit to Disneyland is like navigating your way through a trippy dream. Meet your favourite Disney characters (I spotted Mickey, Minnie and Mary Poppins) as you meander through seven different worlds of fun. Become a kid again in the oversized Toy Story Land, or get your adrenaline fix as you rocket through a Star Wars battle on the Hyperspace Mountain ride in Tomorrowland. There are three hotels at the Disney resort, with shuttle buses to the park every few minutes. I stayed in the recently built Explorers Lodge. With its adventure-themed décor, the fun hotel incorporates a huge outdoor pool to lounge around, and a choice of eateries. The buffet breakfast in the Dragon Wind restaurant offers a huge feast of international cuisines: made-to-order omelettes, dim sum, Indian curry, Belgian waffles… the list goes on! Details: hongkongdisneyland.com; park tickets from HK$619/€68. Hong Kong also has over 200 outlying islands which offer soft, sandy beaches and a glimpse into the city’s rural past. Treat yourself to a relaxing day-trip to Lamma Island with its traditional Chinese fishing village, or sail away to Cheung Chau with its ‘Mini Great Wall’ and pirate cave. 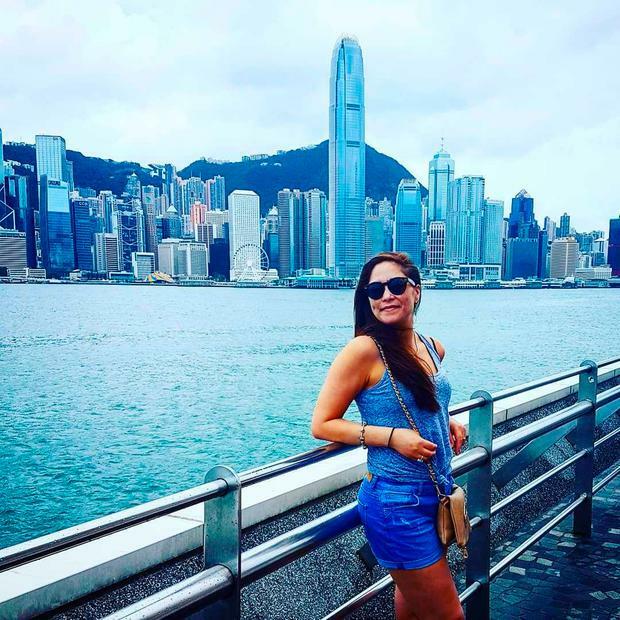 Gillian was a guest of Cathay Pacific, which now offers four weekly non-stop flights between Dublin and Hong Kong, and onwards to over 80 destinations in Asia Pacific. 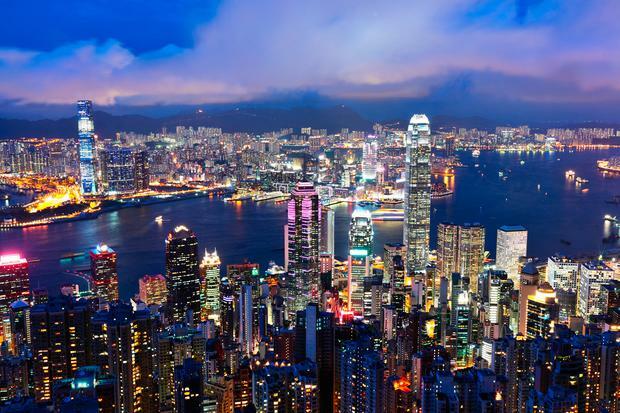 Fly direct to Hong Kong from €649 in economy, €1,349 in premium economy and €2,589 in business class. Book via cathaypacific.ie.